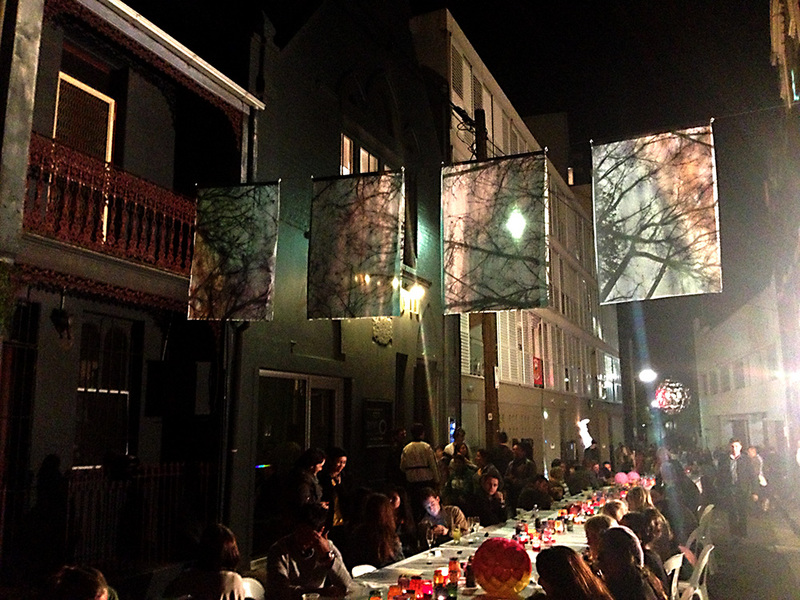 The Beams Festival held in Chippendale Sydney, last night was a wonderful night of illuminations, art, music, food, wine, performance and workshops. 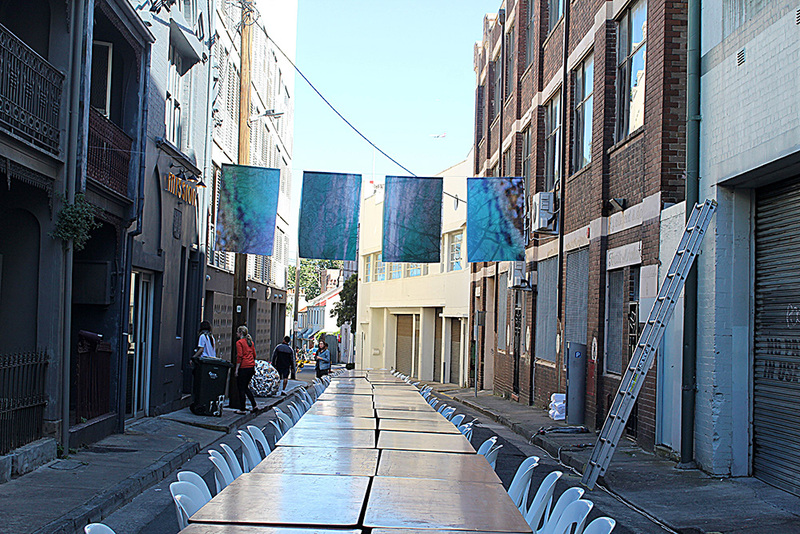 In its second year the Festival organised by the Chippendale Creative Precinct brings together a diverse group of creatives for a one night festival of all things bright. 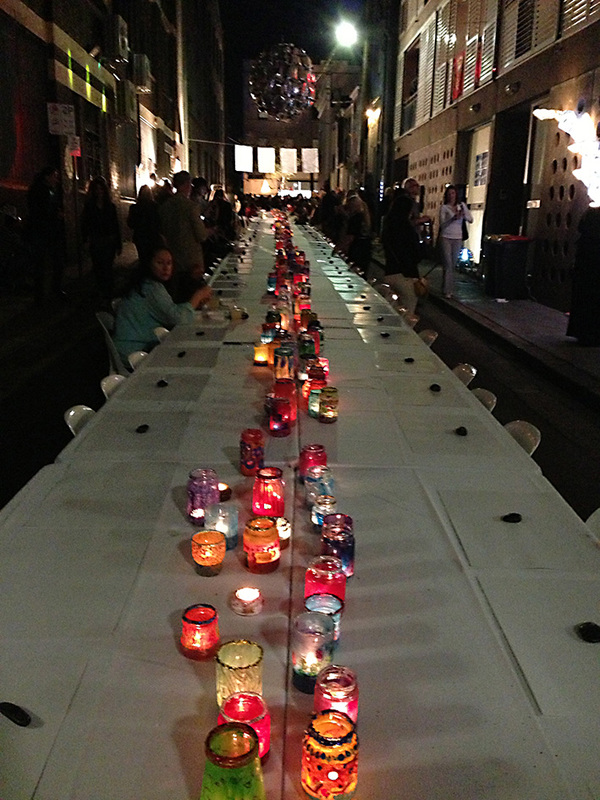 The local streets were closed down and visitors wandered amongst contemporary art installations and enjoyed a meal at the 50 metre communal table. 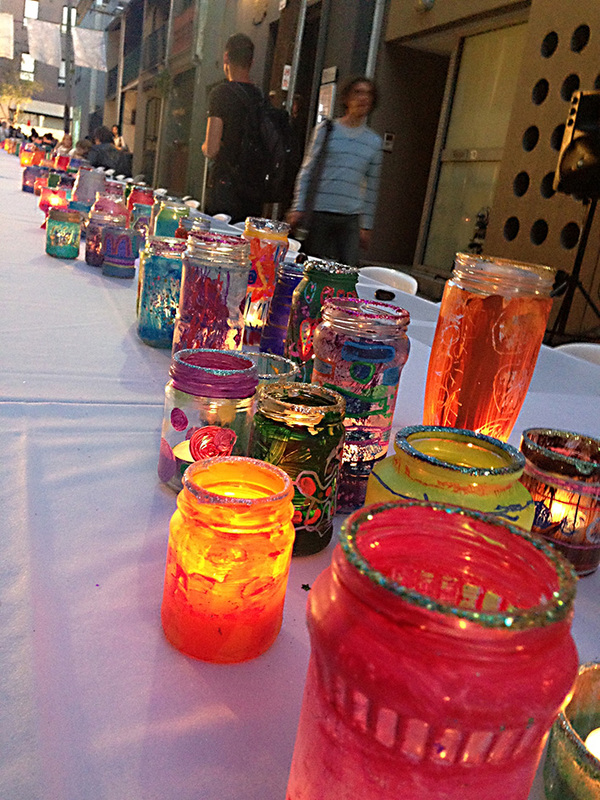 The feature of the table this year was whismically decorated candle lights supplied by Studio Artes a supported studio for adults living with disability. 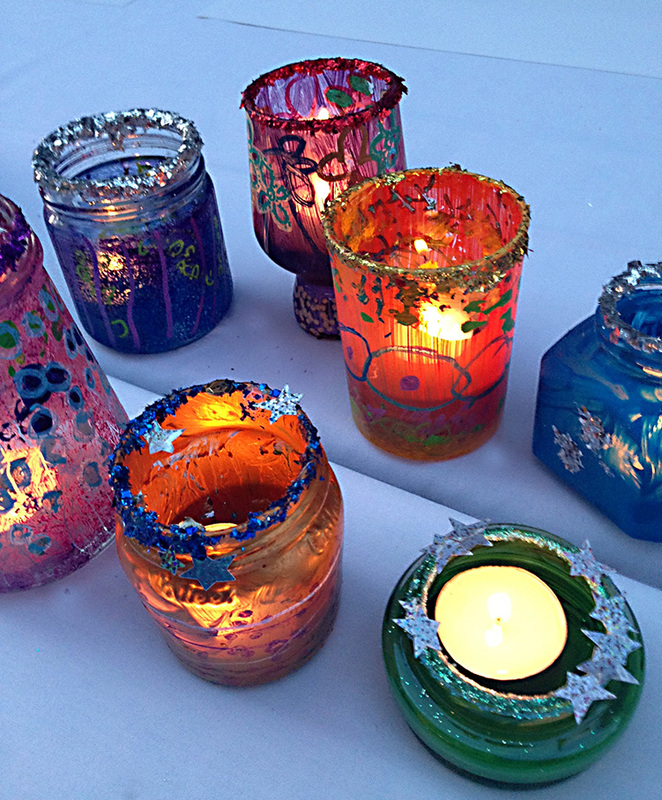 They were jewel like, glowing treasures that were definitely the high light of the night. 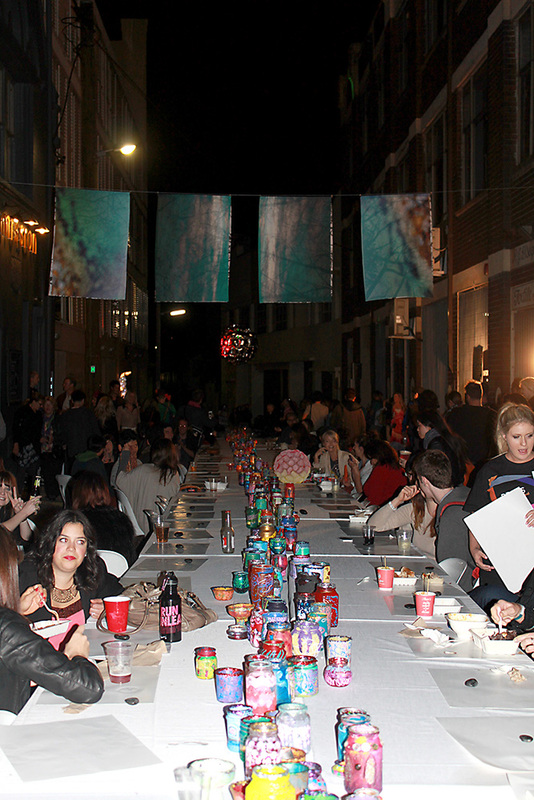 I was lucky enough to have my work “Breathe” hovering above the communal table. “Breathe” is a photographic work on georgette with embroidery detail that evokes meditative states. 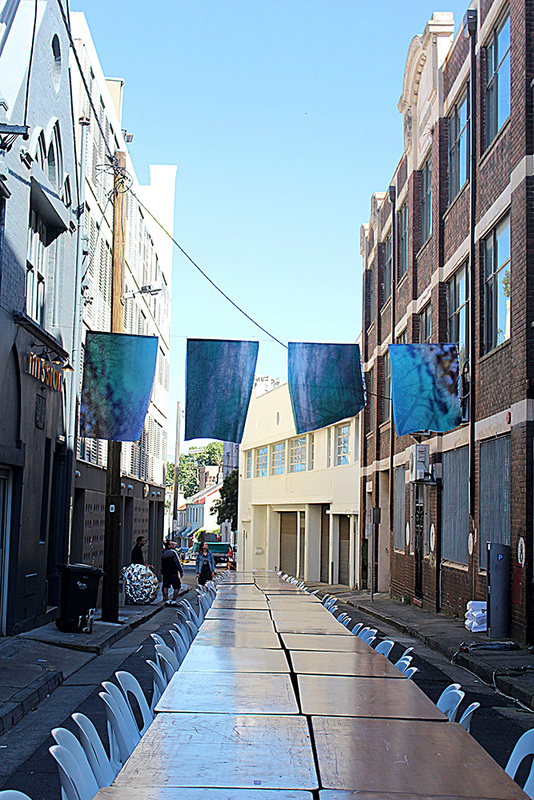 “Breathe” installed in Little Queens Street, Chippendale ready for the Beams Festival.